One of the major projects of the Dubbo Filmmakers Group was the launch in 2013 of the One Eye Film Festival, hosted by the Western Plains Cultural Centre, Dubbo. Now in its fifth year, the 2017 One Eye Film Festival will show over 20 films from Dubbo filmmakers or filmmakers with a connection to Dubbo. You’ll be treated to all sorts of different film styles – documentary, animation, art, comedy, horror and much more. After the films, you will have the opportunity to take part in a Q&A with people involved in the making of the shown films. Entry is free however, due to limited seating, bookings are essential. Food and drink will be available to purchase. Select your tickets for either the Friday or Saturday night session. Please arrive at 6.30 pm for a 7 pm start. The One Eye Film Festival has grown! Whilst that’s great news, it means we’ve outgrown our no-budget approach and we need the resources to give the Dubbo community the film festival it deserves. Established in 2013, Dubbo Filmmakers is an informal collective of people from Dubbo and surrounds who have an interest in the production of film, in particular locally-made film. One of the major projects of the Dubbo Filmmakers Group was the launch in 2013 of the One Eye Film (OEFF) Festival, hosted by the Western Plains Cultural Centre, Dubbo including filmmakers of all career stages and genres. This has become an annual event, screened in November with the next OEFF scheduled for November 2017 at the Black Box Theatre Dubbo. As the technical and logistic demands of the film festival have grown with its popularity, the Dubbo Filmmakers are seeking to raise funds to better resource it in 2017 to ensure a positive experience for filmmakers and audiences alike. The One Eye Film Festival gives Dubbo filmmakers an opportunity to share their projects with the community. The OEFF has led to collaborations between local filmmakers to create films for our local audience and beyond. It has also provided a springboard to motivate skills development and capacity in screen writing and filmmaking in the NSW Central West. We are seeking funding to support the 2017 One Eye Film Festival to allow our filmmakers to concentrate on making films. The funds raised will allows us to fund coordination, marketing and resourcing of the film festival. Hopefully, this will ultimately mean more local stories make it to the screen and allows our filmmakers more time to share their skills and expertise in filmmaking with others. We want to ensure the festival is well organised, professionally run and a positive experience for our contributing filmmakers and the local audience. A good local film festival will help to further encourage developed and up-and-coming film makers of all interests, ages and backgrounds. We want everyone in the community to feel that their story is worthwhile and there is an audience who want to share it. Be sure to include your name and contact number so we can call and discuss possibilities. Dubbo Filmmakers has secured funding to be able to offer 2 professionally run workshops in Dubbo. Because of the funding, these workshops are a fraction of the cost of comparable workshops in Sydney – and they’re right at our door step! All skill levels welcome. Places are limited and bookings can be made online using the links below. Conducted by AFTRS lecturer, Holly Lyons. April 8 & 9 – 9.30am-5.30pm. You will learn the basic tools and fundamentals of screenwriting from an industry professional who currently lectures at a leading Sydney Film School. Beginners welcome, but this will be an intensive course. Two complimentary tickets to the screenwriting workshop are available courtesy of the AWG. To apply, click here email Holly with a short paragraph about what you hope to get out of the course by COB 31 March, 2017. Conducted by AFTRS lecturer, Gareth Tillson. 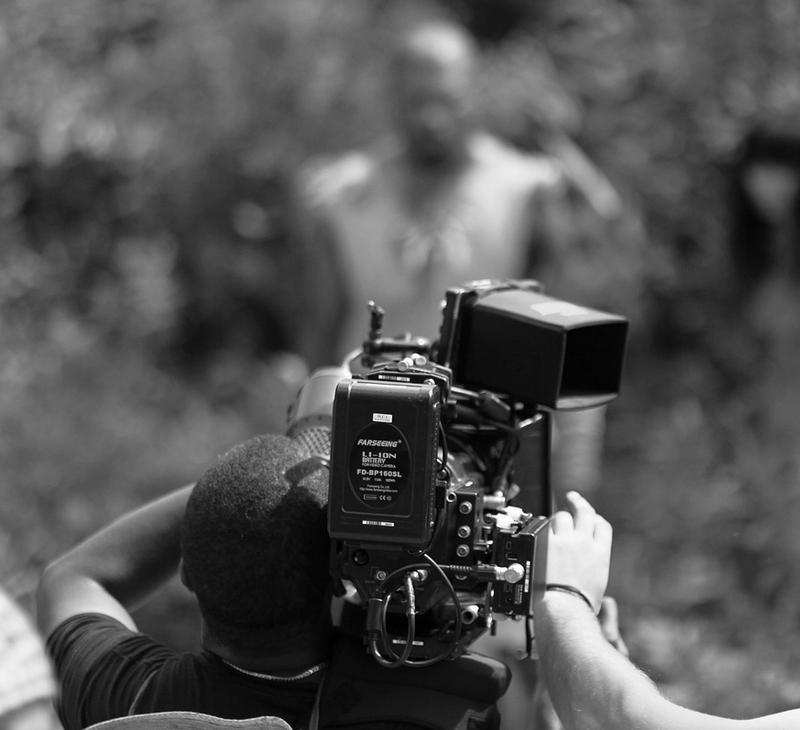 You will learn the three stages of film production: pre-production; production/filming; post-production/editing.